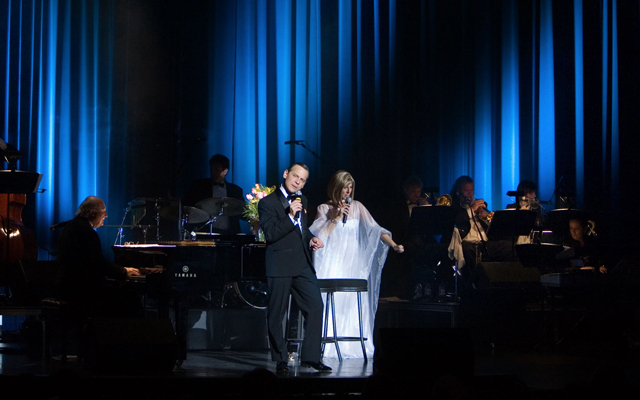 What could be better than ol' Blue eyes himself singing in concert with Barbra Streisand? That is what you will see in "Barbra & Frank: The Concert that Never Was" show Las Vegas. Excellent Barbra Streisand impersonator, Sharon Owens shines in her performance of the best leading vocalist in the world. Sebastian Anzaldo, who is one of the most popular tribute artists in America, portrays Frank Sinatra with candor. In fact, even Ol' Blue Eyes himself would be convinced of his magnificent portrayal. Nationwide, both Owens and Anzaldo have received praise for their performance in Barbra & Frank: The Concert that Never Was show being performed at The Boulevard Theater Las Vegas, which originally played in major showrooms and corporate events. Sharon has even won the crown for a new show on FOX called, Performing As… Her portrayal of Barbra Streisand has led to Barbra fans from around the world uniting just to see Owens' tribute to the talented singer. As for Anzaldo, his portrayal of Sinatra is dead on, not only vocally but also in his movements, looks and mannerisms. Any Barbra or Frank fan must check out "Barbra & Frank: The Concert that Never Was". While Owens and Anzaldo perform, screens that display both film clips and still photos of both Barbra Streisand and Frank Sinatra set the tone for the entire evening. In fact, the flashing screen gets the audience into the performance before "Barbra" and "Frankie" even takes to the stage. To have two, brilliant vocalists, who can mimic perfectly two of the best singers of all time on the same stage is astounding. 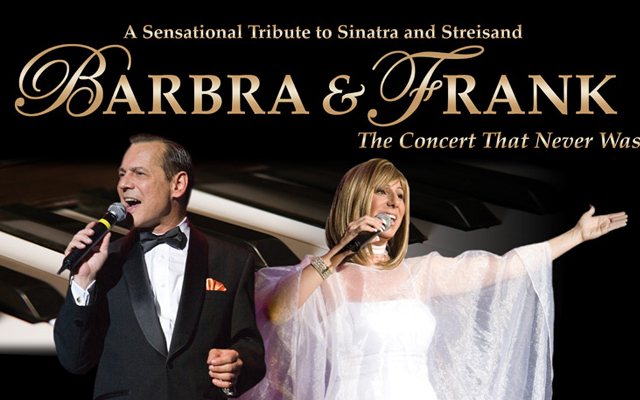 This show has received such critical acclaim and success to the point where it can sometimes be hard to receive tickets to see “Barbra & Frank: The Concert that Never Was” when you are trying to purchase them. You must be at least 12 years old to see “Barbra & Frank: The Concert that Never Was”. Children over 12 should be accompanied by a parent or guardian. The Boulevard Theater: 3765 Las Vegas Boulevard South, Las Vegas, NV.